Investment awareness in India has improved over the past few years, but I am still surprised that many people instinctively associate equities with share trading. This association shapes the risk perception of people towards equity as an asset class. It is true that, a large part of the daily turnover in our stock market is on account of trading, but many investors have created wealth by buying and holding stocks or mutual funds for a very long period. In this blog post, we will discuss the differences between trading and investing. We will also discuss the qualities of a good investor. Trading in the financial markets is buying securities at a certain price and selling it at a different price. If the sell price is higher than the buy price, the trader makes a profit. If the sell price is lower than the buy price, the trader makes a loss. Readers should know that, in equity markets traders can make a profit even if the price falls, through the use of derivatives. In stock markets, traders make a bet on the price change of a stock (or index). If the price change (up or down) is in the direction of what the trader expected, then the trader makes a profit, otherwise he/she makes a loss. There are two important points to note here. Firstly, the price at which the trader buys and sells, determines whether he/she makes a profit or loss; traders, therefore, study price levels very carefully. Secondly, not all traders in the market expect prices to go up, some traders expect prices to fall. Traders who expect the price to go up create demand for the asset and those who expect the price to fall creates the supply. The market price of the asset is the one at which demand matches supply. You should understand the concept of demand and supply very well in trading, because it determines the direction of share prices. If demand is higher than supply, share price will go up and vice versa. You would have seen the share price of a company going up 2 – 3% one day and falling 2 – 3% after a few days. Companies declare their earnings once a quarter and so the volatility of their share prices may have nothing to do with performance. Then why do we see short term price volatility. It is simply because the price expectations on an aggregate change from time to time and shifts the balance between demand and supply. The dynamics are demand and supply of individual stocks or groups of stocks (in a sector) or the broader market are difficult to guess, which is why, less experienced traders (and also sometimes experienced traders) can lose a lot of money in stock markets. That is why, over the last 10 years or so, trading in India (like in the rest of the world) is increasingly becoming more technical and quantitative, with computer algorithms taking over trading from jobbers (day traders) in the market. In trading volatility can be a double edged sword. High volatility can result in huge profits for the trader in a very short period of time, but it can result in big losses also. Volatility in India is significantly higher than the developed markets. Readers should know that, effect of volatility on returns is a function of time. The effect of volatility (good or bad) is highest in the short term, but its effect reduces as the time horizon gets longer. This is one of the most important differences between trading and investing. Also, in India, the transaction costs of trading in securities, e.g. brokerage, STT, service tax etc is high. Traders have to factor in the effect of transaction costs when making decisions. However, if your strategy is a long term buy and hold, then the effect of transaction cost is minimal. Many of our readers know what investing is; in this post, we will explain some fundamental nuances between trading and investing. Like traders, investors also expect to buy low and sell high; however, the fundamental difference is in the time horizon. Traders hold their positions for a day or a few days or a few weeks. Investors hold their positions for many years (e.g. 3 years, 5 years, 7 years, even 10 years or more). Since the effect of volatility reduces over a period of time, volatility has little impact on the returns of long term investors; longer the investment horizon, lower is the effect of volatility. The length of time horizon is one of the most obvious differences between trading and investing. However, there are several other important differences, which readers should understand. In trading, as discussed earlier, price levels are important. Some price levels act as support levels (below which prices are not likely to fall in the short term) and some price levels act as resistance levels (above which prices are not likely to rise in the short term); these levels determine the trading strategy. Going back to demand & supply dynamics, demand increases at support levels since price expectations are positive and supply increases at resistance levels since price expectations are less optimistic at that level. Investing on the other hand is driven by fundamental economic value of the company rather than demand & supply dynamics of the stock. In the long term, all market participants have the same information and therefore, the long term price of a stock will converge with the fundamental economic value. Long term here may mean a few months or even a few years, but ultimately the market price (or equilibrium price between demand and supply). So, if you buy a stock at a price, which is lower than the fundamental value, in the long term, you are likely to see a rise in the price of the stock. This style of investing is known as value investing. The fundamental economic value of a company can be determined through fundamental analysis, which requires considerable expertise and experience, which we as retail investors lack; but professional mutual fund managers have this expertise and experience. Therefore, mutual funds are great investment options for investors to realize long term value. Sometimes, a company may be fairly priced or even slightly expensively priced, but if it has a high growth potential in terms of revenues and earnings, then the share price of the company will rise to match the higher earnings. The fair share price of a company is the present value of future free cash-flows. If investors expect earnings growth of a company to increase, then the demand for the company’s shares will go up and hence the price will also go up to match the fair price. This style of investing is known as growth investing. Mutual fund managers have the necessary expertise and experience to identify companies with high growth potential. Is price not important in investing? Over a very long term, the price is not that important; value / growth potential is much more important. At the same time, fund managers will not want to buy a stock that is substantially overpriced relative to its value / growth potential because their objective is to generate capital appreciation for investors. Therefore, whether you are investing in lump sum or Systematic Investment Plan (SIP), if you have a sufficiently long investment horizon, you should not worry about market valuations. 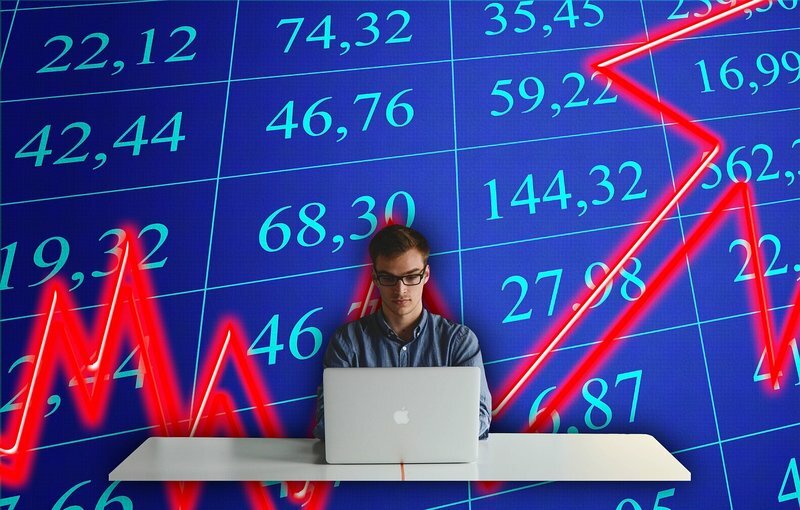 Of course, a bear market damages the prices of all stocks (over-priced or under-priced) and the value of your investment will fall, but if you remain invested through the bear market and through a sufficiently long period of recovery (depending on the severity of the bear market), then you can get good returns. To take advantage of price volatility, you can invest in mutual funds, through Systematic Investment Plans (SIP), which will help you with rupee cost averaging the purchase price. The most important quality of good investors is patience. As discussed in this post, price levels are not all that important in investing. Over a long investment horizon, equity is likely to give you good returns. However, patience as a virtue which is easier to preach and difficult to practice. If you see your investment (made with your hard earned money) falling in value day after day, patience is indeed difficult, but it is the one quality that separates successful investors from less successful ones. Warren Buffett once said that, emotional quotient (EQ) is a superior quality compared to intelligence quotient (IQ) in investing. EQ in investing is about controlling the impulses of greed and fear. Discipline is another important aspect of investing. While patience is an important aspect of disciplined investment, a systematic approach is also important. In a systematic investing, you follow a certain rule based approach, like investing a fixed amount every month (or at any other regular frequency). This will not only help you stay disciplined and invest regularly for your long term goals, but you will also be able to take the advantage of volatility through rupee cost averaging. SIPs in equity mutual funds over a long investing horizon, have helped investors create substantial wealth (please see our SIP return calculator). Smart investors also follow the market and take advantage of big price declines in the market, to tactically increase their allocations to equity. As discussed earlier, whether a stock is over-priced or under-priced, it is not immune to the demand and supply dynamics of the stock market in the short term. If there is an adverse shift in balance between demand and supply, long term investors can tactically invest in equities to take advantage of price corrections and boost long term portfolio returns. They should see these situations as windfall gain opportunities for the long term, rather than short term profit making opportunities. Successful investors have the expertise and experience to research the assets they plan to invest in. While many retail investors may lack the necessary expertise and experience, mutual fund investors can benefit from the fund managers expertise and experience, to do the necessary research for stock selection on their behalf. Mutual fund investors should, however, make sure that the fund manager has a good track record of successful investing and delivering returns to investors. Successful investors also keep track of the market and their investments on a regular basis, to see if their investments are performing up to their expectations and make appropriate adjustments, if necessary. Again, for mutual fund investors, the fund manager will do this job for you, but you should also monitor the performance of your portfolio and individual schemes within your portfolio, to see if the fund managers of their scheme are able to beat the scheme benchmarks and also outperform their peers. Last, but not the least, asset allocation is an important determinant of long term portfolio returns. Research has shown that, asset allocation is the biggest attribution factor in portfolio returns. Asset allocation is dependent on your risk tolerance levels and short / medium / long term investment objectives. Asset allocation of your portfolio will change from time to time, depending on the market prices of the assets; asset re-balancing, therefore, is important to ensure that, your investment risk profile is consistent with your risk tolerance. I have seen that, many investors confuse between trading and investing from a tactical or strategic perspective, though they are clear about their own objectives. Some investor friends told me that, Nifty is at all-time high, let it correct to 8,500 and then I will invest. When the Nifty was below 7,000, some of the same friends told me, let Nifty fall to 6,500 or show a breakout above 7,900 – 8,000 and then I will invest. These attitudes betray a trading mindset and not an investor mind-set. Trading and investing are very different, as we discussed in this blog post. To be a good investor, you should try to cultivate some of the qualities that we discussed in this post and ignore what is irrelevant.